The annual HIKE for the Homeless Walk to Benefit Beacon House/Family Promise of the Chippewa Valley will hit the trail from Phoenix Park at 9am on Saturday, Sept. 30. Participants will walk all or part of the three-mile course around downtown. The HIKE is not competitive, but instead is a family-friendly event meant to raise awareness and support for homeless families around the Chippewa Valley. 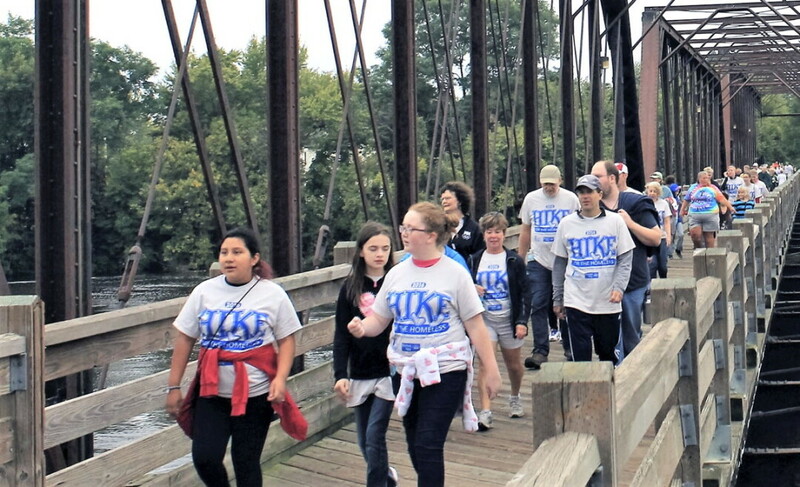 “The Hike benefits all programs operated by Family Promise of the Chippewa Valley (FPCV). Proceeds will support all programs including the Beacon House, transitional housing, and case management for families,” said Kelly Christianson, executive director. “This event is designed to raise funds for FPCV, raise awareness of family homelessness, and provide a family-friendly event at end the summer. Participants will join others in a common cause, addressing the issue of family homelessness in a casual walk, (with) refreshments and camaraderie.” For those who are not aware, the Beacon House/FPCV provides support and advocacy for homeless families and pregnant women in the community by providing temporary housing and support services, transitional housing, and economic support to families getting established in their own housing again, with the idea of fostering independence by helping families not just financially but also by providing new skills and a support system that will help ensure they will not become homeless again. This year’s HIKE will include not just a three-mile walk, but also a new Youth Group Challenge. “We have a Youth Group Challenge where we are having area church youth groups challenging each other to participate. We will have prizes this year as well that participants will be eligible for,” Christianson said. The organization is hoping its 13th annual hike has its biggest turnout ever.